You will be seen by the clinician that will inform you through a report of your finding as to the cause of your problem and diagnosis. Our goal is to give you a deeper understanding of your condition. By understanding the factors that contribute to your condition, it will help prevent it from recurring in the future. Once your clinician understands your preferences a treatment plan will be developed, and you will be informed as to the specific services you will be receiving. After your report of findings on the second visit you will participate in therapy that day. Your therapy will include hands-on treatment by your specific therapist and then application of therapeutic modalities if they are appropriate. The modalities include ice application, moist heat application, traction therapy, therapeutic ultrasound, interferential current, transcutaneous electronic nerve stimulation, acupuncture, therapeutic laser, muscle stimulator; therapeutic swiss ball exercise, free weights, medicine ball, etc. The second visit will take 30 minutes in total. You will be greeted at the front desk and asked to sign in. You will then be given your travel card to bring to the appropriate room for Chiropractic and Acupuncture. Put your travel card in the pocket of the door. Place a sheet of face paper on the table and lay face down, or in any comfortable position. Rest and relax while waiting for the doctor. When your treatment is finished, please throw your face paper away and bring your travel card back to the front desk. For Physiotherapy treatment you will be sent to our Physiotherapy Floor Space. You will then be seen by the clinician, receive any modalities, and participate in any prescribed exercises. For subsequent office visits involving Chiropractic, Massage therapy and Acupuncture reserve 20 minutes. Your clinician will advise if you will need more or less time. Please confirm your next appointment before you leave the Clinic. The doctor has set up a specific course of treatment for you. A certain number of treatments in a set amount of time is required for us to get the results we mutually desire. Thus, if you need to change the time of one of your appointments, plan to come at another time the same day. If the same day is not possible, be sure to make up your missed appointment within one week. If you need to miss an appointment, please notify us two hours prior to the appointment time so we may schedule other patients. How you feel you are doing. The findings from your exams and re-exams. The Doctor manages your case from the latter. Your progress is measured and your treatment course is determined by analysis of these findings. 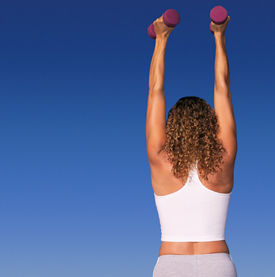 Part of your treatment here includes a prescribed exercise program you can do at home. Spinal workshops are given on a regular basis. It is essential that you attend at least one. Bring your spouse or a partner. There is no extra change for these workshops.